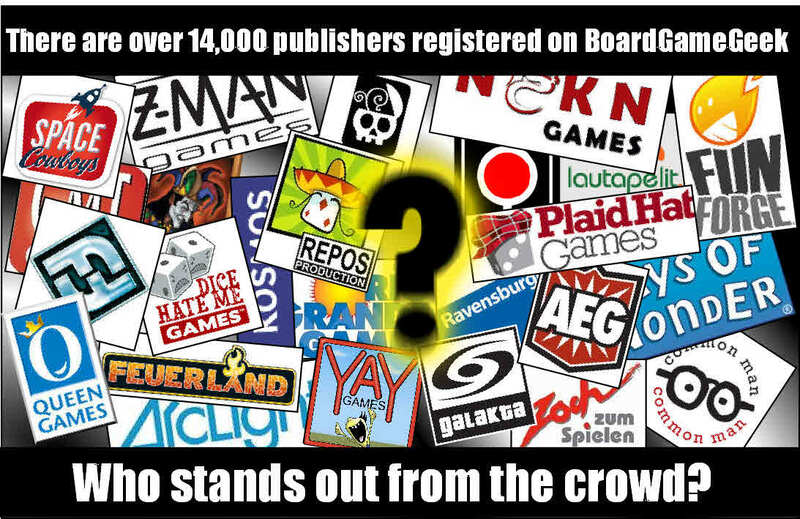 Q1: Roughly how many board game publishers do you know off the top of your head? Q2: Are there any publishers you are a fan of? Who? Why? 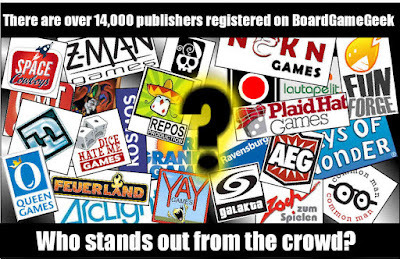 Q3: What makes for a good board game publisher? Q4: Who are some "Hidden Gem" publishers you think don't get enough attention? Q5: Are there any publishers you would never buy from? Why? Q6: Do you get news from any publishers what for does it take? Q7: Are there any publishers you feel are extra good with customer service? Q8: Are you more likely to buy a game because of who designed or published it? 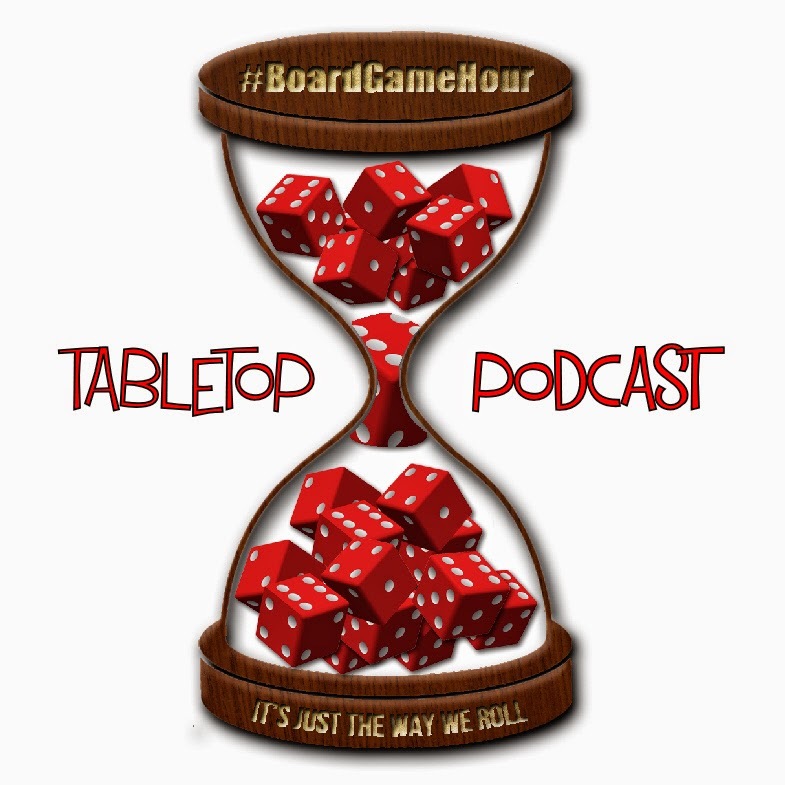 Q9: What tips would you give to someone wanting to publish board games? 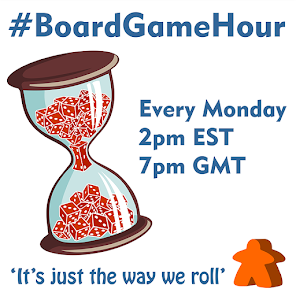 Q10: Side Topic: Board Games as gifts, do you give them? Who to? Q11: What game would you give to someone to introduce them to modern gaming? Q12: Would you like some board games as a gift? Which ones?